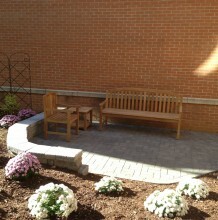 Hardscape Construction Middletown CT - Coughlin Service Corp.
"Great work, I love these guys!!" 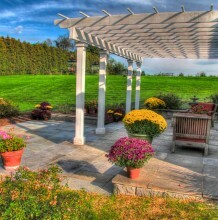 Spending your precious leisure time on a maintenance-free patio? Getting rid of your old-fashioned front “stoop” and replacing it with a fresh, new entryway design using bricks or pavers? 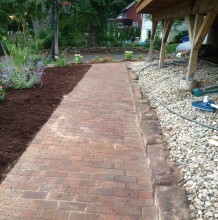 Installing a walkway at your commercial building or business that will impress clients and tenants? Well now you can stop dreaming and start enjoying! 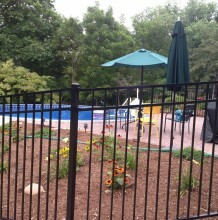 With our team of hardscape design and installation professionals you can turn your ordinary and tired-looking residential,commercial or institutional property into an elegant and functional outdoor space. Using materials such as pavers, bricks, natural stone, rock and more, they will create a hardscape design that you will enjoy year after year while adding value to your residential, commercial or industrial property. 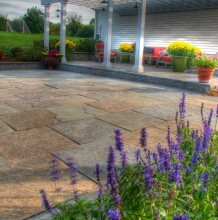 Natural stone hardscaping.....and much more!